The weather in Los Angeles is starting to warm up and the first day of summer is slowly approaching. This means it’s the season for being adventurous and trying new things. 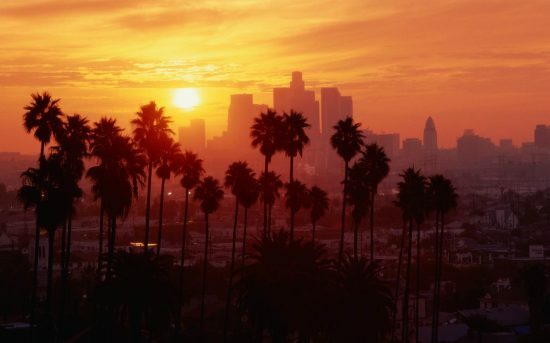 If you need some unique ideas of what to do this summer we have curated the perfect Los Angeles Summertime Bucket List so you don’t waste a second of this beautiful season. 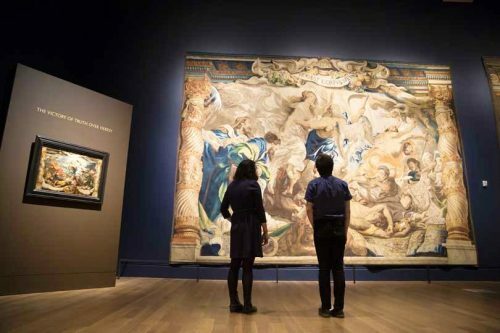 From day trips, to local events, and things to make (and eat), our list has 25 ideas that will guarantee a busy 3 months! 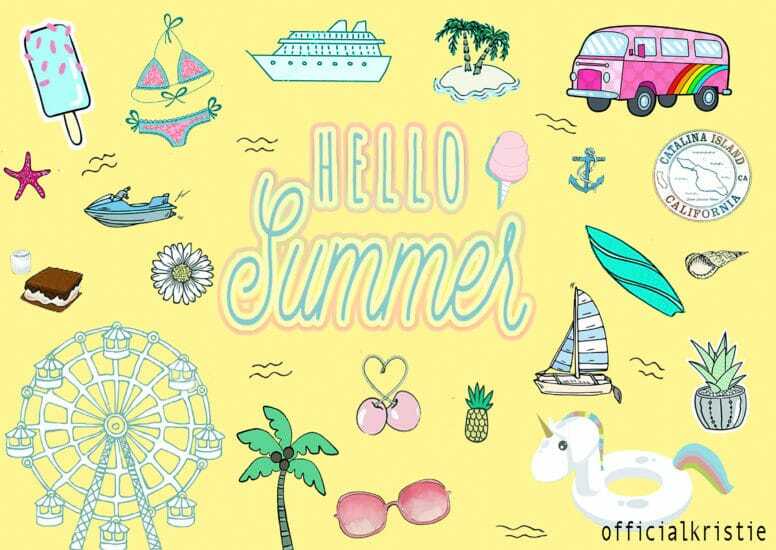 It’s time to bring out your summer wardrobe and let your hair down because this is about to be the best summer yet! Succulents are super easy to maintain and they’re just as easy to make! 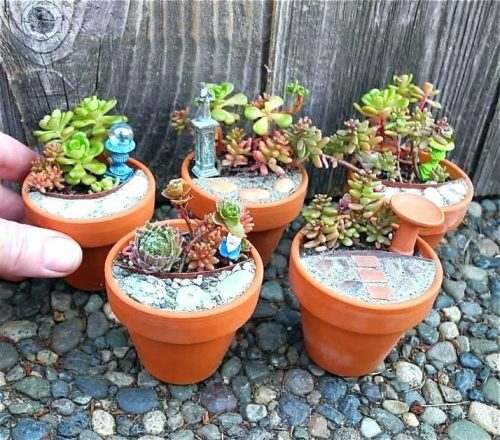 Learn how to make your own succulents and start a cute little garden this summer. Cherry season in California is at its prime during the months of early May through July. Cherries are seasonal fruits so you have to enjoy them while they last. Stop by Villa de Sol Sweet Cherry Farms, one of the largest cherry farms in Southern California. It opens on June 11th. Once you get home, make a delicious crumble cherry pie! Echo Park has upgraded its boats to Swan Boats! Enjoy the lotus flowers, ducks, and scenic views of Los Angeles while pedaling around the lake. Boat rentals run from 9am to sunset. Rates are $11 per hour for adults and $7 for children under 17. 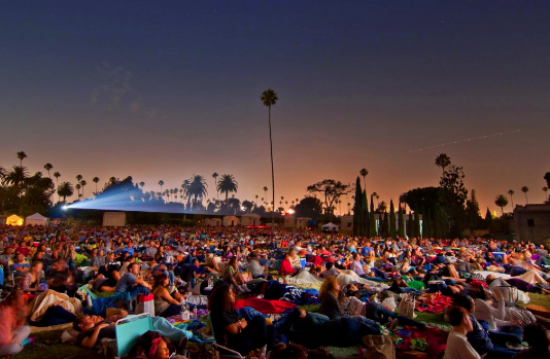 Every Summer the Hollywood Forever Cemetery hosts outdoor screenings of movies on their lawn. Guests are encouraged to bring blankets, small lawn chairs, alcoholic beverages, and picnic food. View the film schedule for this summer and purchase tickets before they sell out. Everyone talks about spring cleaning, but what about summer cleaning? It’s always a great idea to declutter and make room for new purchases. If you have to question how long it’s been since you’ve worn that denim jacket it’s probably safe to say it's time to get rid of it. When trying to figure out how much money you should charge per item, base prices on the quality of the product. Don’t forget to advertise your yard sale online and around your neighborhood. The day of, invite your friends over, make some summer cocktails, and start selling your stuff! Here are some tips on how to throw the ideal yard sale. Show your support for the LGBTQ community by attending the annual LA Pride Festival. This years event is June 9th and 10th and is being headlined by Kehlani and Tove Lo, and will feature three stages and tons of entertainment. The festival will take place at the West Hollywood Park (along San Vicente Boulevard) and in the Pacific Design Center Plaza. Tickets are on sale now. 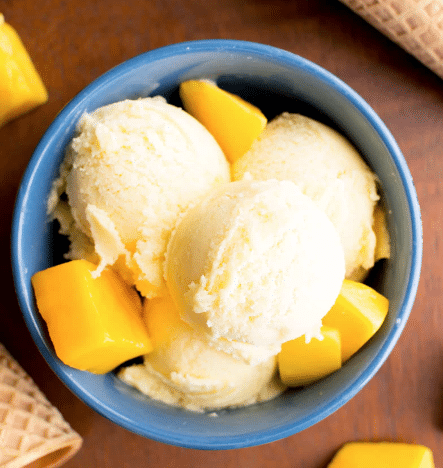 Cool off with this yummy 3-ingredient mango coconut ice cream. It’s the perfect refreshing snack to make this summer. The best part; it’s dairy free and vegan! It’s Dodger Baseball season and as a true Angeleno you must attend at least one game this summer. Check out their schedule and purchase tickets to a game. Once you’re there be sure to eat a Dodger Dog, and check out all this delicious looking food that’s new for the season. Painting and wine? Sounds amazing right? Paint and Sip Studio LA has an amazing offer on Groupon right now. All you have to do is bring the bottle and the studio provides all your painting supplies supplies. 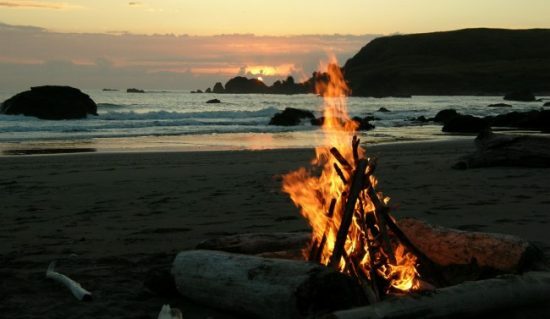 Dockweiler Beach is one of the few beaches in Southern California that allows bonfires. There are 40 fire pits available on a first come, first serve basis. Don't forget to bring the ingredients to make s’mores! These trending waffle cone s’mores are a fancier version, and we can’t wait to make them. Catalina Island is only 22 miles away from the coast, but it’s the ideal mini escape. This beautiful island offers sailing, zip-lining, hiking, shopping, safari tours, or simply relaxing on the beach. Hop on the Catalina Express to arrive at the perfect getaway. The FIGFest returns for its 6th year and runs for 4 consecutive Friday's in the month of June. The FIGat7th Plaza will be transformed into a concert venue where goers can shop, drink, dine, and enjoy live music. We are so used to watching sunsets, but how about waking up early for once and watching the sunrise? Go for an early morning hike, or make plans to get to the beach super early and start your morning off with a beautiful view. Grab a group of friends and head to the Malibu Cafe Country Kitchen and Bar. This cafe has a very country vibe with a great menu and fun activities that reflect it. The cafe is opened for brunch, lunch, and dinner. After eating, guests can play the lawn games or hit the multiple bars. The Malibu Cafe is a great spot to get away from the city. The OC Fair runs from July 13th to August 12th this year. Not only does it have tons of delicious fair food, shopping, contests, and exhibits…it also features an awesome lineup of classic rock, hip hop, and reggae music. Check out the lineup of some of the artists performing: Chicago, Frankie Valli and the Four Seasons, Kool & the Gang, The Psychedelic Furs, Earth, Wind & Fire, Jefferson Starship, Rick Springfield, Toto, Willie Nelson, Rebelution, Stephen Marley, Common, Steve Miller Band, Ziggy Marley, Trevor Noah and many more! Admission is only $12 for adults and $7 for children and senior citizens. Beginning June 26 and running through October 21, The Getty Museum will feature the Icons of Style: A Century of Fashion Photography, 1911-2011 exhibit. With 200 photographs, this exhibit will examine how photographers have played a role in fashion and style; through clothing, magazines, photographs, and advertisements. Give back by volunteering this summer. Heal the Bay is an organization that promotes the clean up of the ocean to improve water quality and sea life safety. Check out the event calendar for volunteer opportunities. No plans for the 4th of July? Come to Grand Park's Block Party and celebrate America's Independence. The party will consist of live music, food trucks, vendors, and fireworks of course. Dogs are also allowed, and the event is free. 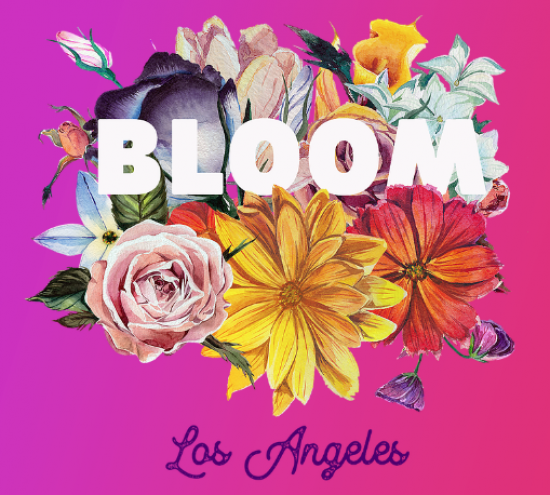 Bloom Los Angeles is an interactive art pop-up show that will showcase numerous installations throughout 100,000 square feet of Griffith Park. The 3-day event will feature live music, food trucks, and workshops. Learn how to make your own flower crowns, succulent terrariums, honey, and essential oils. This event runs from June 22-24, and general admission tickets are only $25! During the summer our skin is exposed to stronger UV rays, chlorine, salt water, and harsh elements. This can cause breakouts, dryness, and dreaded sun spots. Figure out what your skin concern is and create a custom natural mask to help restore your skin back to its youthful appearance. PS: We can’t wait to try the strawberry scrub! Start your day off by spending the day at Venice Beach. At 5pm head to First Friday on Abbot Kinney for an evening of tasty food and shopping. During the first Friday of each month, Abbot Kinney Blvd. shuts down to bring you this incredible event. A vacation doesn't always mean you have to leave the state. California is so versatile that a mini vacay could be a simple few hours drive to the desert, beach, or if you're feeling adventurous the mountains! Suggested road trip destinations include Palm Springs, Joshua Tree, Big Sur, or San Francisco. 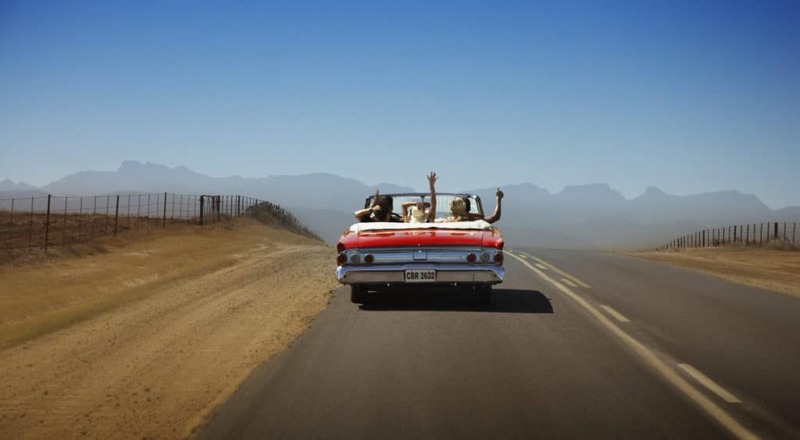 Check out this awesome road trip list to get inspired. Physical activity is so important and here in LA we have plenty of options. This summer instead of going to your local gym, try some water activities like paddleboarding, jet-skiing, surfing, or wakeboarding. If that sounds too intense, do some yoga by the beach instead. There’s no time like the present to revamp your look, so why not try out a new summer hairstyle? 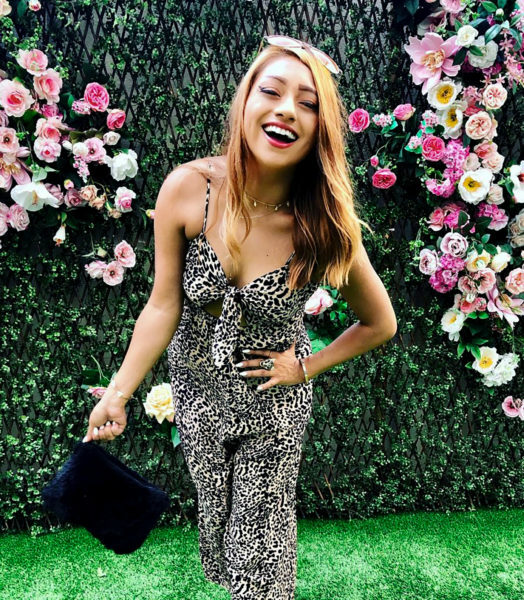 Check out these 33 easy to achieve summer looks that will take you from the office to the beach in no time. There’s no time like the present to travel, so why not head to a foreign country this summer? Companies like One Travel are offering round trip flights for as low as $250 to certain destinations. 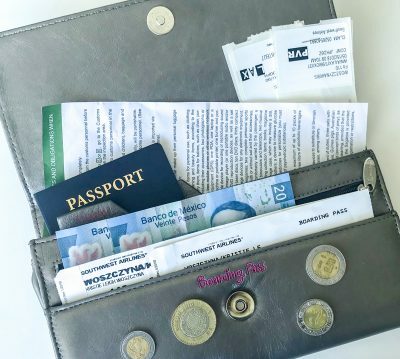 Before you book your flight, read Kristie’s tips on how to plan a vacation when you don’t have a lot of time. When is the last time you can say you listened to the waves crash, while you sat in the sand and got lost in a can’t-put-down novel? It’s such a simple task and a relaxing experience, yet it’s often overlooked. This summer grab a good book and head to your favorite beach. To beat the traffic and the crowds, go early in the morning for a more peaceful experience. If you're unsure of what book to read, check out the best summer books for 2018.